Home » About AAEM » What's New with AAEM? to EM with the AAEM Physician Group. AAEM-PG is Bringing a New Era in Physician Group Management AAEM-PG is a national physician group that adheres to the values of AAEM and fosters a management setting based on fairness and transparency where each is an owner. AAEM-PG supports independent practices with financial and management resources. We believe the brightest future for EM physicians is when they own their practice. 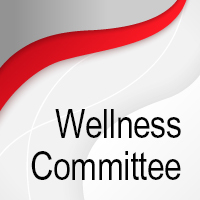 ► We’re focusing on physician health with our new Wellness Committee. This new committee focuses on studying root causes of burnout and promoting wellness and career longevity for AAEM members. They will be promoting best practices for wellness, resiliency, and minimizing burnout that will empower you and enable you to share with your colleagues. Your personal and professional welfare are our primary concern. Critical care is an ever revolving field with major advances, and the goals for this section are to keep you up-to-date by writing guidelines or position statements, networking, developing a job database, and providing mentorship.We aim to engage your clinical interests. ► We’re increasing the value of your membership with new member benefits. Emergency Physicians Insurance Exchange RRG (EPIX) – AAEM’s recommended carrier for all your insurance needs. EvidenceCare – AAEM member discount for the only clinical decision support tool designed by an ER physician to enhance workflow and improve patient care. ► We’re advancing our commitment to exceptional education with the new AAEM Online and our annual Scientific Assembly. AAEM Online is a FREE member’s only benefit that allows you to access video and audio of the Scientific Assembly directly from the AAEM website. Download the files and watch on your own time.